When we launched our Sustainable in a Generation Plan just one year ago, we knew it was a critical moment. A range of issues continue to face our global community—including climate change, poverty, obesity and water stress. That’s why we decided to invest more than $1 billion to start tackling them within our own supply chain. Over the past five years, we have been mapping our extended supply chains to truly understand our social, environmental and economic footprint. We learnt that the majority of our impacts and challenges were in agriculture, through the raw materials that we source from around the world. With this knowledge, we prioritized an initial ten raw materials—rice, fish, beef, soy, palm oil, pulp & paper, cocoa, mint, dairy and sugar cane—that make up around 80 percent of our social and environmental challenges. After our Sustainable in a Generation Plan launch, we’ve spent the last year developing transformational new sourcing strategies for each material, which will allow us to address sustainability challenges, whether they’re GHG emissions, water stress, land use, human rights or income—while at the same time increasing our supply security and maintaining competitive supply chains. This first year has been about starting the transformation of our raw material supply chains, accelerating what’s already working, building and investing in a number of critical partnerships and testing new approaches. The next few years will see a significant scaling-up of our activity and impact on the ground. We set a science-based target to reduce emissions across our value chain, from the production and processing of the raw materials our brands use through to the factories and offices we own. We’ll reduce our emissions by 27 percent by 2025 and by 67 percent by 2050. The slight increase in our emissions during 2017 reflects reductions from our direct operations balanced with growth in some of our business areas. This resulted in a moderate rise in emissions because we sourced additional ingredients. Mars Australia will match all its electricity needs with solar power starting in 2020. That will be enough electricity to produce 510 million packets of EXTRA® chewing gum. We’ve signed two 20-year agreements with renewable electricity producer Total Eren to add new solar power to the Australian national grid. We’ve mapped our water use globally to understand where our water comes from, either natural rainfall or irrigation. Our goal is to eliminate water use that exceeds sustainable levels. We’ve started action to reduce water consumption during the production of our ingredients. In Pakistan, for example, Mars Food partners with UN Environment, the International Rice Research Institute and WWF to support more than 600 basmati rice farmers in reducing their water use, achieving a 30 percent reduction since 2016, while increasing farm productivity. Mars Food works to protect the marshlands of the Doñana National Park in southern Spain. Together with partners Ebro, Danone, Optiriego, UN Environment and WWF, Mars Food encourages rice farmers to reduce water use in the Guadalquivir River Delta by working toward the Sustainable Rice Platform Standard. By doing this, farmers will save 50 million cubic meters of water by 2022. Along with other initiatives on rice, this is helping us meet our goal to reduce unsustainable water use by 50 percent by 2025. We work to reduce the area used to grow our key ingredients, for example by collaborating to help farmers boost yields and tackle the pests and diseases that harm their crops. The modest increase in our land area during 2017 reflects growth in our business, which meant we needed a larger area of land to produce ingredients. The expansion of agricultural land is a major cause of deforestation. Freezing the land footprint associated with our value chain will help us prevent forest loss. Our action focuses on five raw materials linked to large-scale deforestation: beef, cocoa, palm oil, pulp & paper and soy. One highlight in 2017 was the progress we made toward our commitment to source palm oil free from deforestation. We achieved 99 percent traceability to mill, where oil is extracted. Through our work with The Forest Trust, we’re developing landscape interventions to protect the Leuser Ecosystem, a biodiversity hotspot in Aceh, Indonesia. 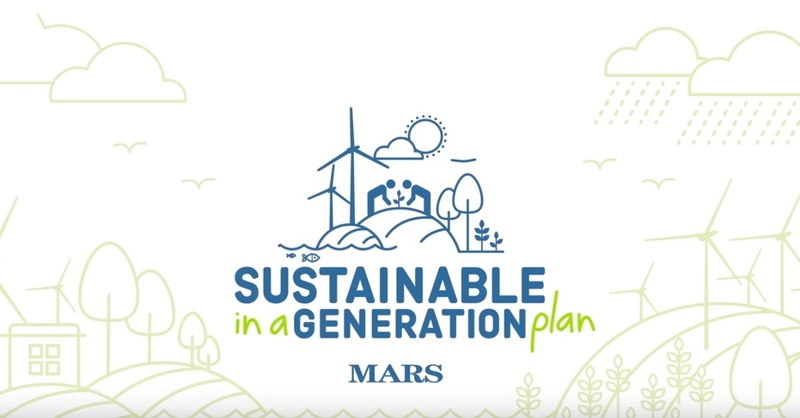 Our Sustainable in a Generation Plan is directly linked to our business goals, which is why we’re investing more than $1 billion in the first three years to start the work to realize our ambition. We know our Plan will take decades to realize fully and we may not see fast progress in the early years on some of the goals. But we remain resolute in following our chosen path. Click here to read the full Sustainable in a Generation Report, and click here to watch the video summarizing the report.